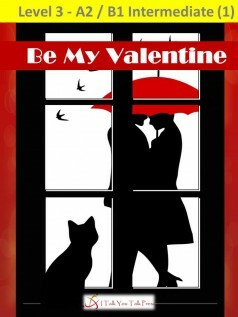 There are six stories about Valentine’s Day, the day of love and romance, in this book. Oscar breaks women’s hearts. He is not interested in love, but everything changes when he sees a woman at the local cafe. Will she fall in love with him too? Simon wants to propose to his girlfriend. He makes a plan, but something unexpected happens. Will his girlfriend still accept his proposal? Takuma wakes up on White Day, a month after Valentine’s Day, and realises he has forgotten to buy cookies for the ladies in the office. What can he do? He doesn’t want to disappoint them. Then, Takuma has an idea to make it the best White Day ever.